A woman has been arrested in connection with the death of a man found dead in a flat fire on Boxing Day. Paul Gillett, 54, from Clacton, was fatally injured at a property in Station Road, Clacton-on-Sea. A 34-year-old woman has been arrested on suspicion of conspiracy to commit murder. Seth Stollery, 47, and Freya Parker-Magowan, 43, have previously been charged with murder. A post-mortem examination found that Mr Gillett died as a result of a head injury at the scene. 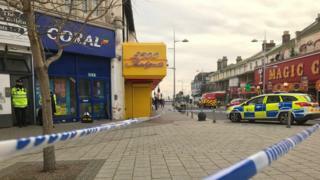 The arrested woman, from Clacton, is also being questioned on suspicion of aggravated burglary and assaulting an emergency worker, and remains in custody. Mr Stollery and Ms Parker-Magowan, both of no fixed address, have also been charged with arson with intent. A provisional trial date has been set for 10 June.